The American Academy of Assisted Reproductive Technology Attorneys (AAARTA): AAARTA fellows must be attorneys with deep experience in assisted reproduction law, and who adhere to the professional organization’s strict code of ethics. American Society for Reproductive Medicine (ASRM): The ASRM provides education, information, and advocacy for reproductive medicine, and sets standards for the field. Members include OB/GYNs, reproductive endocrinologists, embryologists, and other medical practitioners. Parents Via Egg Donation (PVED): PVED provides information and a supportive community for intended parents and parents through egg donation and other third-party reproduction routes. The Organization of Parents Through Surrogacy (OPTS): OPTS is an educational and support organization for parents through surrogacy as well as surrogates. Adoptive Families: The award-winning national adoption magazine is the leading source of information for families before adopting, during the process, and raising a child through adoption. 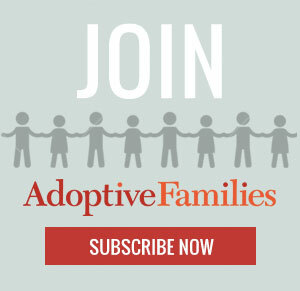 AdoptiveFamiliesCircle: Adoptive Families‘s online community for adoptive parents, adoptees, expectant mothers, birth mothers, and adoption professionals maintains active discussion groups, as well as featured blogs, photo contests, and more. The American Academy of Adoption Attorneys (AAAA): Attorneys invited to become an AAAA fellow have deep experience in adoption law, and must meet the highest standards of ethics, competence, and professionalism. AdoptUSKids: AdoptUSKids, a project of the U.S. Children’s Bureau, raises public awareness about the adoption of children from foster care and provides tools and resources to prospective adoptive parents and child welfare workers. RESOLVE: The National Infertility Association: Established in 1974, this non-profit organization works to promote reproductive health and to ensure equal access to all family building options for men and women experiencing infertility or other reproductive disorders. The American Fertility Association: The AFA provides education and outreach about infertility, and offers lifetime support services families touched by infertility. Adoption Learning Partners: ALP offers interactive, web-based educational adoption resources for professionals, parents, adoptees, and adoptive families. Adoption.NET: Adoption.NET is an online resource and community for all things adoption and foster care. Beyond Fertility: This subscription-based membership site offers expert information, peer support, and a community of people who understand the challenges of being a parent after infertility. Creating a Family: Creating A Family is a not-for-profit organization that provides education and resources on infertility and adoption.